This Monday, Julen Lopetegui revealed his list of 23 players in the Spain squad that will be going to the World Cup in Russia and four of them are from FC Barcelona: Gerard Piqué, Jordi Alba, Sergio Busquets and Andrés Iniesta. It is no new experience for any of them. 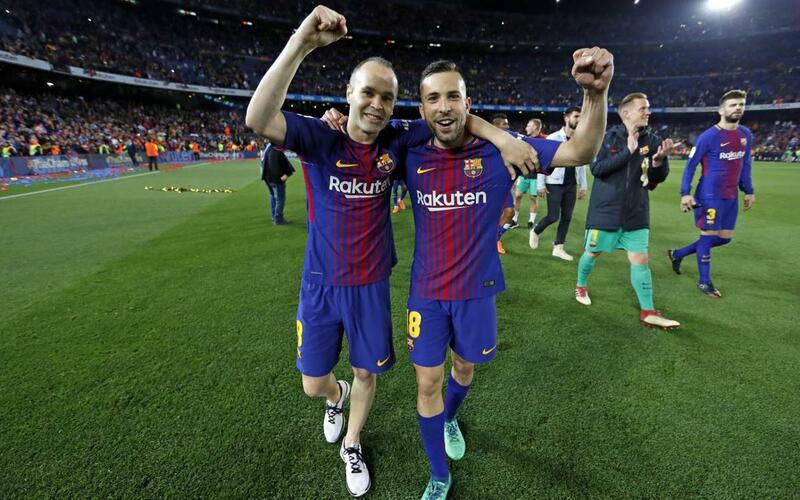 It’s the fourth World Cup for Iniesta (2006, 2010, 2014 and 2018), the third for Piqué and Sergio Busquets (2010, 2014 and 2018) and the second for Jordi Alba (2014 and 2018). All but Jordi Alba were in Vicente del Bosque’s side that won the trophy for the only time in South Africa in 2010. Robert Martínez has named his 28 Players in the Belgium squad, although five of those will not be making the final cut. Barça’s Thomas Vermaelen, who represented the Red Devils in Brazil in 2014 has been named on the list.